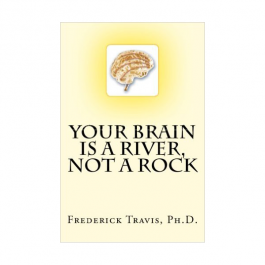 Dr. Fred Travis received his Masters and PhD in Psychology from Maharishi University of Management in 1988. He had a two-year post-doctoral position at UC Davis and the VA Medical Center in Martinez, CA with Dr. Irwin Feinberg exploring brain changes during sleep. At the conclusion of his post-doctoral position in 1990, he returned to Maharishi University of Management to direct research at the Center for Brain, Consciousness and Cognition. Since 1990, he has authored 57 papers and conference presentations that investigate the relation between brain patterns, conscious processes, states of consciousness and meditation practice. His recent work has reported brain patterns of world class performers—athletes who have received gold medals in World Games, National Game or the Olympics; top-level managers; and professional musicians. 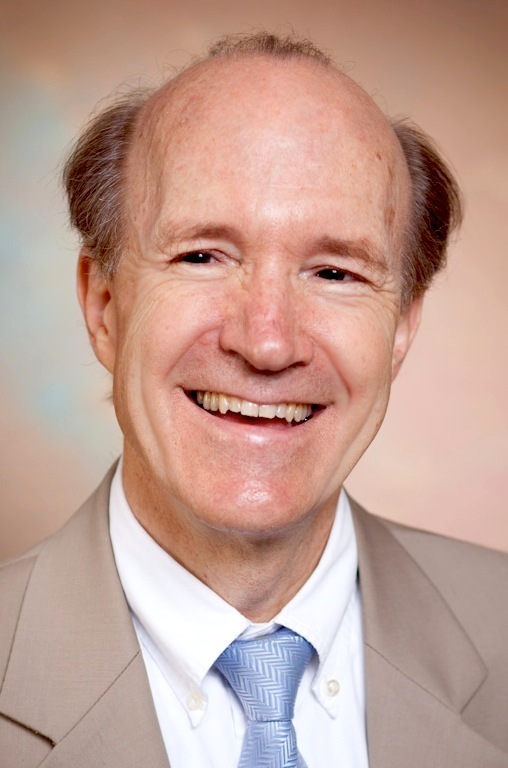 He regularly teaches undergraduate and graduate courses, gives seminars, and speaks at conferences on brain development in children and across the lifespan. This is a fantastic book written for common people by the leading researcher on brain and consciousness. The brain remains remarkably plastic throughout life and the practice of the right mental habits and techniques can lead to lower stress, greater creativity, and permanent bliss. This short book about the super-complex brain is written in easy prose backed by great research, and supported by simple examples and exercises. Did you know that an infant’s brain makes about 24 million connections per minute among its 100 billion neurons. These connections are pruned in the next few years, and thereafter the more useful neural connections are strengthened by myelination (akin to sheathing the naked electrical wires) for greater speed and integrity. This book will show how during the waking state, our brain perceives the world through an active collaboration with our remarkable yet imperfect sense organs. The brain helps us stay safe and happy (through quick low-road decisions) and accomplish great things (through deliberate high-road decisions). The book shows that the waking state is marked by a somewhat uncoordinated spectrum of brain waves across different parts of the brain; and the practice of Transcendental Meditation can lead to higher levels of alpha waves across the brain leading to greater coherence and a smooth and integrated functioning of the brain, just like the synchronized spectator wave in a sports stadium. This book also shows how sleep is very useful for repairing the brain. Deep Sleep (Stages 3 and 4 of sleep, marked by slow delta waves) happens mostly in the first five hours of sleep. It helps with replenishing of the consumed neurotransmitters in the brain cells, and the clearing of the neurotransmitter debris between the synapses where the neural connections fire. This is like cleaning up the roads every night for clean looks and smooth traffic the next morning. No wonder we feel groggy, cloudy, and even irritated when we don’t get at least some deep sleep the previous night. Even the dream sleep, marked by REM (rapid eye motion), is useful for reconstructing memories and to dispose of old or non-useful memories. Finally, the book shows an amazing fourth state of consciousness called the Transcendental Conciousness or turiya chetna. 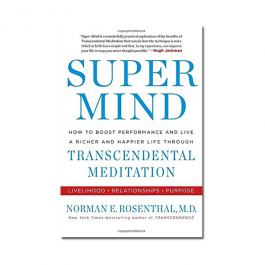 Brain functioning during the practice of Transcendental Meditation is marked by restful alertness: the restfulness coming from the powering down of the midbrain and the alertness coming from the powering up of the prefrontal cortex, the CEO of the brain. Using a 2-circuit model, the book explains the mechanics of how the brain can reach such a state. The book also shows what happens in impaired states of consciousness, such as when one is under the influence of substances. The caffeine, nicotine, and such addictive molecules interfere with the firing of the synapses in the neural network by blocking the receptors from re-uptaking of used adenosine molecules. This creates traffic congestion at the synapses, and floods the synpases with dopamine; leading to repeated firing of the target neural cells. While giving a great temporary sense of dopamine-induced euphoria, it also leads to an unfortunate long-term burnout of over-used brain cells, leading to pathologies of the brain. After reading this book, you may not want to consume any of those addictive substances, if you can help it. I have read this book a couple of times and I revisit it often as my primer on the brain and consciousness. I would also recommend The Brain that Changes Itself, another easy but longer book on neuroplasty. My interest in the brain and neural mechanisms is through Artificial Neural Networks, as part of data analytics; you can see my best-selling book on Amazon on Data Analytics Made Accessible. Wish you greatly improved brain performance as a result of picking up from this fantastic book a more clear and detailed understanding of your own highly useful and flexible, and yet vulnerable, brain. Highly recommended! I had the pleasure of attending a live demonstration on the effects of Transcendental Meditation on the brain as measured by EEG that Fred Travis gave at Trinity College in Hartford. It was about 3 years ago, and I still remember being impressed with his knowledge, clarity, and cutting-edge perspective on the brain and how to develop its full potetial. This book reminds me of that powerful presentation that he gave at Trinity to a room packed with attentive faculty, students and counselors. There are a lot of books on the brain, and this is one of the best. Its enlghtening, inspiring, and very useful. Read it! This is a really excellent intro book for anyone interested in child development, neuroscience or the latest research in meditation. It is packed with the latest findings from various fields of neuroscience. It is written in a very simple (high-school level) language. At the end of each chapter it also suggests further readings, for those who would like to dig further. Highly recommended! As I watched my three children growing up, the question frequently came to mind: How do they do it? How do they learn so quickly? 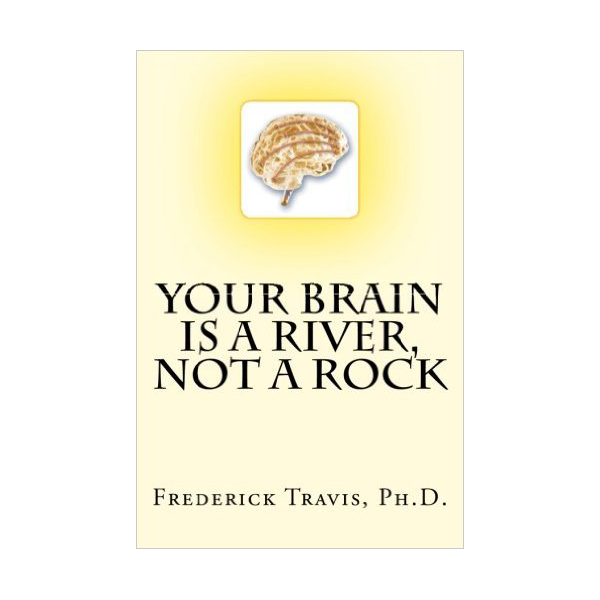 Many years of reflection have evolved into this book: Your Brain is a River, Not a rock. The brain is the interface between us and our world. We see the world; we make meaning of our experience; we respond to the world through brain functioning. And the brain is not set in stone. The circuits in the brain are continually sculpted by experience. Publisher: CreateSpace Independent Publishing Platform (20 Jan. 2012).